Today, Dora is to Siena what Thomas used to be to Amelia. Everything is Dora, Dora, Dora. Of course, there is room from a smattering of Dora’s cousin Diego, or “i-ay-go”. So when Siena turned two, it was only natural that we had a Dora party for her. We had Dora balloons, Dora decorations, a Dora cake and even a Dora pinata (that didn’t work). The highlight of the party though was the Dora themed adventure. It seems that Swiper had stolen all of our party favors and it was up to our little band of explorers to find them. 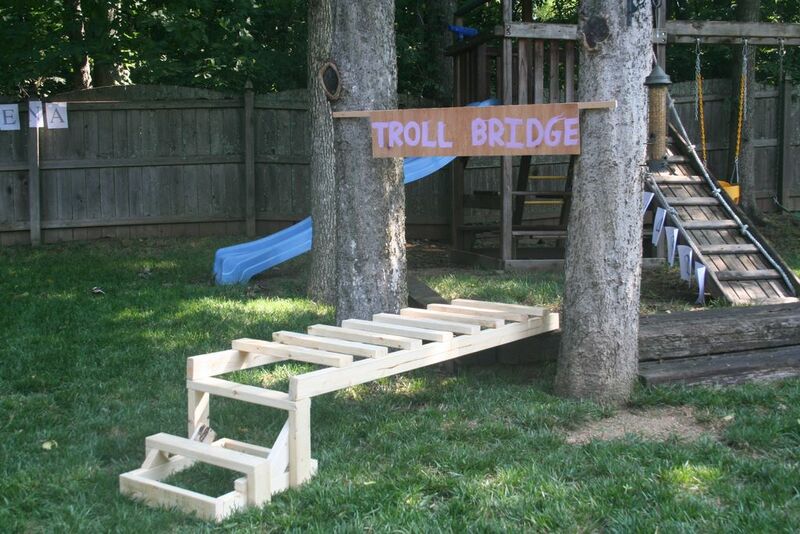 First, each kid had to answer a riddle and cross the (very rickety) Troll Bridge that I threw together with some 2x4s and a nail gun. 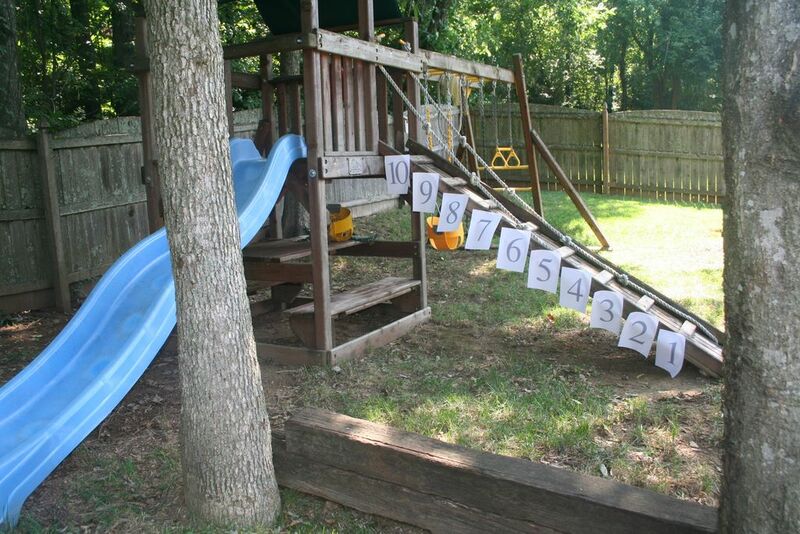 Next, the kids had to climb number mountain. When they got to the top, they had to find the next number in order, then descend the mountain and tape it up until we had 1-10. Finally, the kids had to go through alphabet soup swamp. 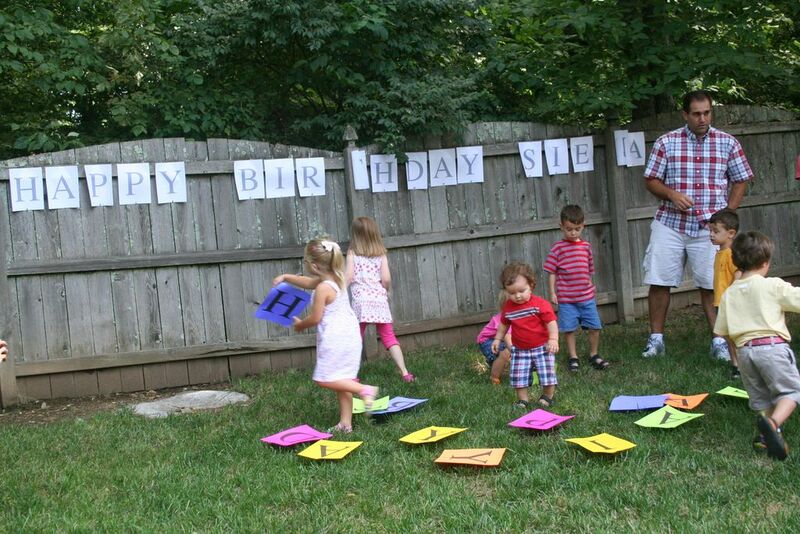 They had to sort through the sea of letters on the ground and tack them up on the fence to spell “Happy Birthday Siena”. At the end of the hunt we found the treasure chest with all the goodie bags. Inside the goodie bags, we even found little wooden chests that we could paint and take home as souvenirs of our adventure. Amelia, sweetie, if there is one part of this blog that I am 100% positive we will play for you when you are older, here it is. Remember “I don’t want to go to college”! 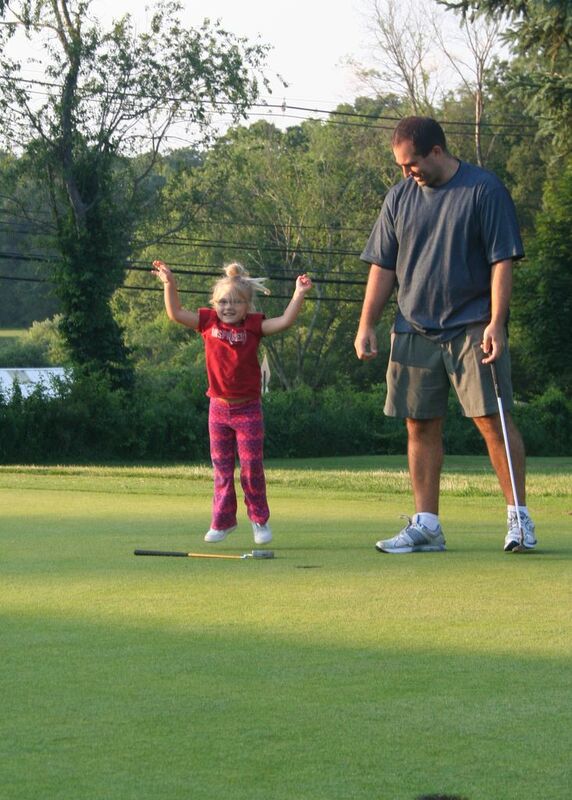 Of course, the best part of this trip was Amelia’s first trip to the golf course. I think I got her hooked!!! At any rate, there was a brand new set of junior clubs from Amazon waiting on our doorstep when we returned.